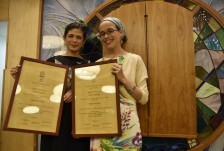 After five years of intense study, two women were certified as spiritual leaders and morot hora’ah (arbiters of Jewish law) at a ceremony which took place on 20 October, 2015 at Midreshet Lindenbaum’s Chana and Yaacov Tilles Campus. 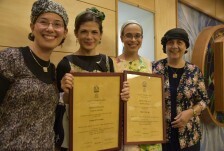 The magnificent Linda and Murray Laulicht Beit Midrash provided a worthy backdrop to a ceremony last week in which Chana Klein-Ravhon and Meira Welt-Maarek were certified spiritual leaders and morot hora’ah by the Susi Bradfield Women’s Institute of Halakhic Leadership (WIHL), a program of Midreshet Lindenbaum, an Ohr Torah Stone (OTS) institution. 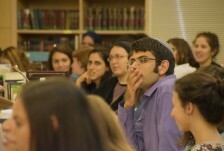 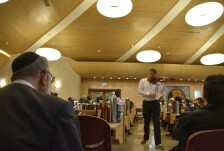 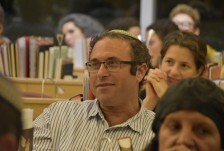 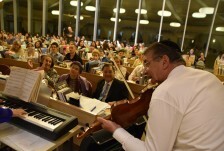 The WIHL is a unique five-year program which features in-depth study of halakha on a broad scope and at the highest of levels. 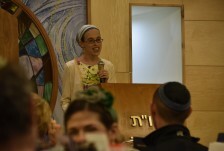 Graduates have covered extensively the sources pertaining to Shabbat, kashrut, conversion, mourning, family purity, marriage, ritual baths and more. 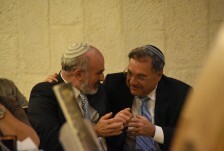 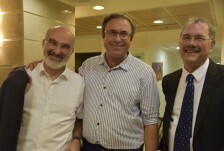 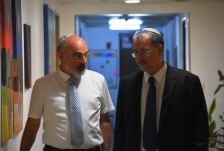 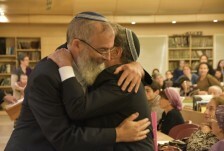 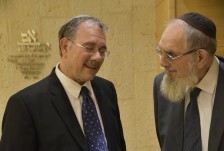 After passing exams equivalent to those administered by the Israeli Chief Rabbinate to men, they are certified to serve as spiritual leaders and arbiters of Jewish law. 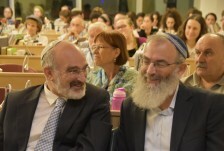 Present at the ceremony were Rabbi Shlomo Riskin, founder and Chancellor of OTS and Chief Rabbi of Efrat; Rabbi David Stav, Chairman of the Tzohar Rabbinical Organization, Chief Rabbi of Shoham and newly-appointed Co-Chancellor of OTS; Yinon Ahiman, Director General of OTS; Rabbi Shuki Reich, Head of the WIHL; Rabbi Shmuel Klitsner, Director of the WIHL; Rabbi Ohad Teharlev, head of the Israeli programs at Midreshet Lindenbaum; Rabbanit Anat Novoselsky, one of the WIHL’s first two graduates who currently heads the women’s beit midrash “Shaalina” in Modiin; graduates, their families and guests. 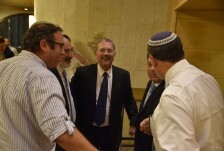 “I stand before you excited, emotional and thankful to G-d,” said Rabbi Shlomo Riskin, Chancellor of Ohr Torah Stone and Chief Rabbi of Efrat. 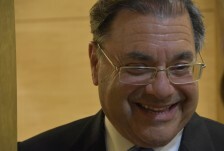 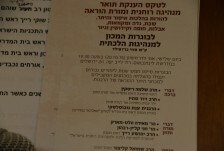 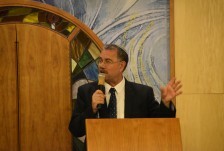 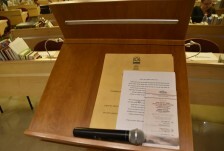 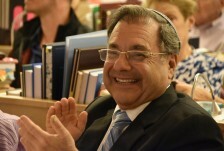 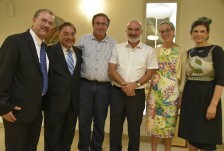 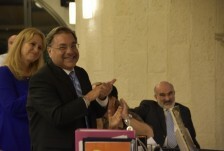 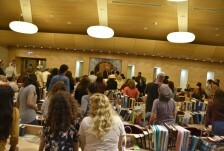 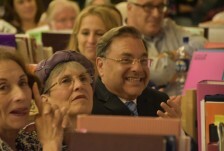 During his remarks, Rabbi Riskin cited a host of halakhic sources showing that women can judge and make halakhic decisions, mentioning Deborah the prophetess who judged Israel, the Sefer Ha-chinuch, in which it’s written that a woman can and should make halakhic decisions, and the Choshen Mishpat, in which it states that a woman can judge. 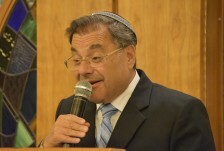 Rabbi Riskin also quoted former Israel Chief Rabbi Eliyahu Bakshi Doron, who stated that a woman can be a leader, even a spiritual authority and instructor of halakha. 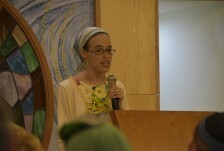 Graduate Meira Welt-Maarek shared some of her thoughts and feelings with the attendees: “From a very young age I was attracted to the world of Torah learning as a means of getting closer to God and as an answer to the questions that arose within me as a person who abided by the Torah’s commandments,” she said. 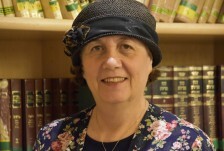 “After many years of Gemara study I wanted more, and this desire to learn pushed me and others like me to Midreshet Lindenbaum. 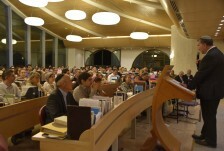 As opposed to academic work, the training to become a Spiritual Leader is work with people and for them. 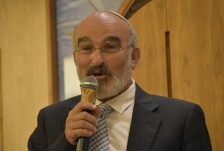 The voices from outside, therefore, don’t represent a distraction but rather an invitation to continue the halakhic discourse, to be involved in ongoing, daily matters and to have a public influence. 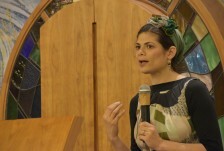 In Torah study there is an element of discovery through which framework your basic principles and expectations are shattered and rebuilt anew, like with labor pains. 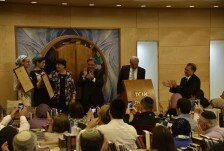 For me, it’s the significance of the acquisition: that God’s Torah becomes mine. 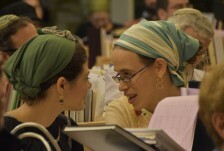 As a woman I am, indeed, an outsider in the discourse, but at the same time being an outsider provides me with sensitivity and empathy for others in the same situation, for example converts or the newly-observant.” Meira maintained that “the problem of women studying Torah is not the glass ceiling, but rather the obstacles constantly placed on the road, and in particular the lack of equality at the final destination. 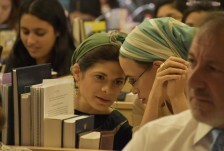 Where every male with a beard is already considered to be half a rabbi, the lack of recognition accorded to serious women’s study programs translates into the inability of women to apply for positions of spiritual leadership which require a formal degree. 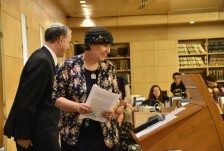 As visionaries, Rabbi Riskin and Rabbi Stav are training women for professional positions which do not yet exist, but you have the power to turn them into a reality,” she said. 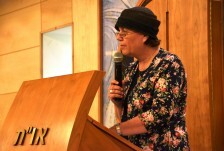 Welt-Maarek concluded her remarks with a blessing of praise to God for the great merit of being able to immerse herself in Torah study and the innovation inherent in doing so. 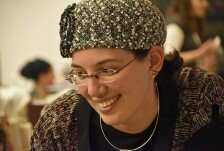 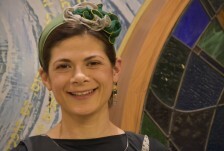 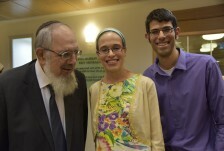 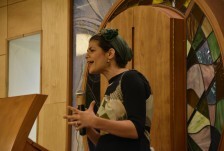 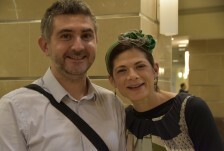 Rabbanit Anat Novoselsky, who graduated from the WIHL four years ago and today heads the “Shaalina” women’s beit midrash in Modiin, pointed out that the ceremony transported her back in time to when she received her degree, as one of the first two women to complete the WIHL’s grueling five-year program. 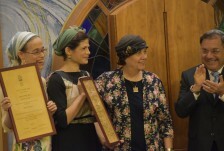 “The certificate-granting ceremony was extremely emotional at that time,” she recalled, “but it was very modest and suppressed. 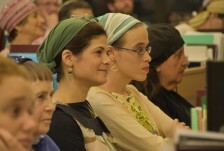 In the evolutionary process taking place in women’s place in religious life in general and in the realm of halakhic rendering in particular, it’s possible to say that tonight was the placing of another significant milestone.” Novoselsky lauded the new graduates for not being shaken by the intense workload nor by the time schedule during the course of study: “That’s how it is when one is motivated to study by a tremendous love of Torah learning, an understanding of how rare the opportunity is and an appreciation of the crucial need for women arbiters of Jewish law,” she concluded.